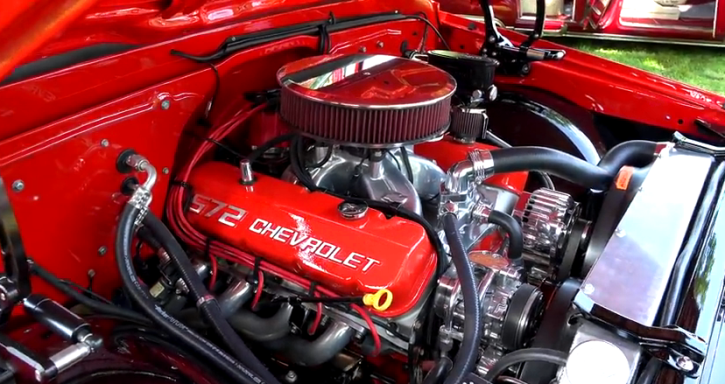 Griffey’s Hot Rods With Another Awesome Chevy C10 Build! I know these old school Chevrolet trucks are all over the place, but when something is build right it gets recognized even at major car shows. I don’t think anybody who attended the 2018 NSRA Street Rod Nationals South in Knoxville, Tennessee pass by this custom 1969 Chevy C10 without stopping to admire the great work. 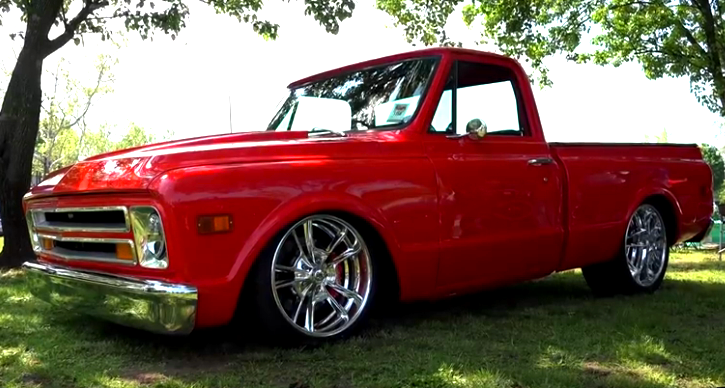 Recently freshened up at Griffey’s Hot Rods this pick up truck is as clean as it gets. That bright Red paint catches the eyeballs right away, the body work is tremendous and the combination of AirRide suspension and great choice of wheels gives it the perfect hot rod look. Inside the cabin a clean TMI interior welcomes you onboard and to make sure the 1969 Chevy C10 moves as good as it looks a 572 Chevrolet V8 is stuffed under the hood. Check out my man Scottie’s video to see this slick pick up truck all the way around!